How to instantly Change Windows XP Password? 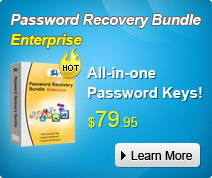 Compared with Windows 7 and Windows Vista, there are more methods for you to recover Windows XP password. OK, let us to see how to change Windows XP password straightly. 1. Start Windows XP system and press Ctl+Alt+Delete keys TWICE when Windows Welcome screen appears. 2. It will show classic login box. Type “Administrator” (without quote) in Username box and leave blank in Password box. 3. Press “Enter” key, you will log in to Windows. 4. Go to “Start”->”Run”->”Control Panel”->”User Accounts” to change other Windows password. 1. Start your PC, and continue to press “F8” before the splash screen appears. 2. From “Advanced Boot Options”, choose “Safe Mode” by using the arrow key. Press “Enter”. 3. On the login box, log on with the built-in administrator account, and press “Enter” directly without entering any password. 4. This step is the same as Step 4 for using Ctl+Alt+Delete keys. Frankly speaking, the method mentioned above is not so straightforward for those users with little computer knowledge. Windows XP Password Changer is the best choice to reset Windows XP password. Its easy-to-use and powerful functions are verified by thousands of users around the world. With its help, you can recover any Windows system password including local administrator password. Step 1: Burn bootable CD. a. We need another computer which can log into Windows to burn this CD. So insert a blank CD on this computer, and then launch Windows XP Password Recovery. b. Choose “reset Windows local account password” and device (here we tick “CD/DVD”). c.	Click “burn” to start the bootable CD burning. a.	Insert this CD on the computer you can’t access to and boot it from CD. b. You will enter the main interface of this program. Select the Windows installation and the user account you would like to reset password. c.	Choose the user account you want to change password for, click “reset”. d.	To confirm your action, respectively hit “Yes” and “OK” in the next two boxes. e.	Restart your PC to finish the reset.